Joseph & Associates provides professional project management, project strategy and quantity surveying services. Our main office is in Christchurch. We also operate satellite offices in Dunedin and Queenstown, servicing the lower half of the South Island. Our highly skilled team is comprised of experienced quantity surveyors and project managers. As specialists project and cost consultants, we have worked on a number of prominent projects over the years, across the construction industry. Optimise project management through detailed feasibility studies at the front end of your project. A well-managed project means fewer surprises and more certainty. Understand the numbers upfront so you can make the best possible decisions, for the best possible returns. Our clients choose us because we care beyond the project. We use our expertise and knowledge to ask, listen and create bespoke solutions that optimize outcomes across the lifecycle of each project. We are hands-on and client focussed. Queenstown: Level 1, Arum House, 1092 Frankton Road, Frankton, Queenstown. Dunedin: 16 Lynwood Avenue, Maori Hill, Dunedin. Tourism industry guru Anton brings exceptional insight of the industry, strategic input and unparalleled knowledge of the accommodation, visitor attraction and regional tourism sectors within New Zealand. With operational and marketing experience in large visitor attractions, hot pool complexes, ski fields, motel chains and ancillary tourism services, Anton brings a depth of tourism knowledge to the Joseph & Associates team. Anton’s contribution in the fields of market research, strategy and business case development ensures our tourism based clients and partners have a realistic, practical and effective approach to feasibility. Architect qualified with a wealth of design, project management, urban planning and leadership experience, Robert works with Joseph & Associates to bring complex projects to reality. Now based in Dunedin, Robert is our key contact on the ground for the area. 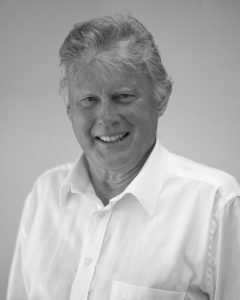 Robert brings over 40 years of experience from across the globe having help professional roles in New Zealand, UK, Australia and the Pacific Islands. 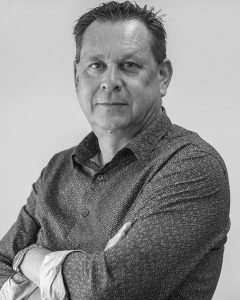 Robert specialises in architecture, project management, urban planning and design and has a depth of experience in managing complex portfolios for education and cultural heritage properties. 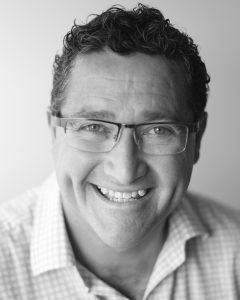 He also has experience in advocacy and community engagement and has worked for many years in the tourism sector. Richard’s depth of experience and passion for Project Management is almost as strong as his knowledge of 3D Design and his love of fly fishing. Richard holds an HND in 3D Design and Construction Management and has more than 30 years of experience under his belt. During this time he has worked across all sectors of the construction industry, including commercial, industrial, hospitality, retail and heritage. Flexible and resourceful, Richard’s expertise has seen him deployed on projects in Australia, Fiji, Antarctica and throughout New Zealand, specialising in project implementation, contract law and multiple location management.